From audio activated light-up t-shirts to smartphone wifi activated light bulbs, some of the most interesting tech gadgets of the past year have been more than awe-inspiring. If you’re a gadget freak like me, you’ll be happy to find some of the greatest new inventions below, things that make you wonder what they’ll think of next. Some of the following gadgets are mezemerizing, some are practical, but all are down-right cool. While 2015 is coming to a close, there are sure to be some new gadgets around the corner and before the end of the year, too! In the meantime, check out these new electronics that make it exciting to live in 2015. 1. 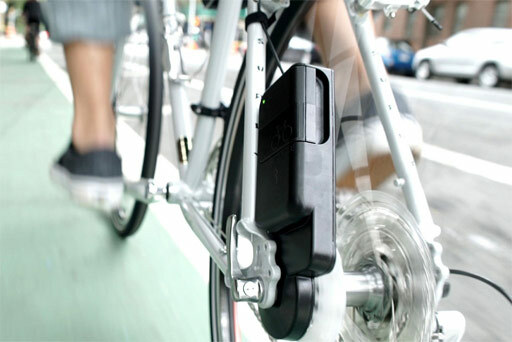 Siva Atom – Bicycle-powered USB Battery Charger! A gadget fully funded by Kickstarter, this is great for busy, on-the-go people who bike a lot or even for people who use exercise bikes. Make the best use of your time and energy by charging a battery with your bike! It converts the momentum of your bike ride into energy to power your favorite electronics such as Android and iPhone smartphones, GoPro cameras, lights, gps, bluetooth speakers and other devices that can be powered by USB alone.